For as long as hip-hop has existed, the genre has been a territorial, almost tribal affair. When poetry was coupled with record-scratching in New York’s poorest areas in the early 1980s, even the few different styles that emerged from the new art form split into distinct stylistic factions led by the three or four DJs who propelled a new art form into mainstream entertainment. A decade later, east coast and west coast rap became the two dominant factions defining hip-hop, and this division exists to this day. While both types present their own characteristics and advantages — west coast always being the more experimental and east coast serving as the constant mainstay of the culture — neither is complete without the other. 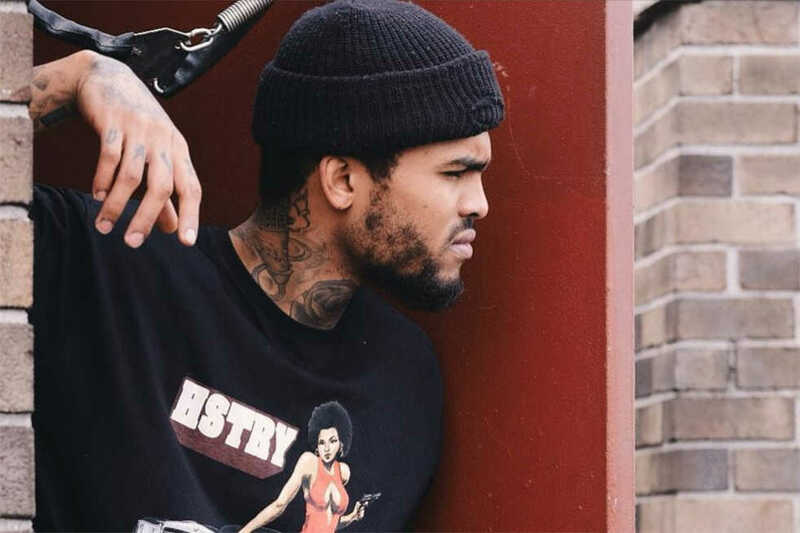 Underachievers would come to mind, but hip-hop fans of 2018 would be remiss to neglect the burgeoning east coast phenomenon Dave East. He is proving to be one of the more promising artists of XXL’s Freshman Class of 2016: the quintessentially hardened Harlem hip-hop artist who listeners did not know they needed. This month East, born David Brewster Jr., released his second entry in his Paranoia series — an extended play aptly named “Paranoia 2.” The first of the Paranoia EPs, “Paranoia: A True Story,” was released eight months ago in August, and it peaked at number nine on the Billboard 200. This new installment doubles down and paints East as a man hardened by the streets of Harlem. His experiences were made even more strenuous after the birth of his daughter Kairi Chanel in 2016. The music is gritty, and the images he creates are unmistakably melancholy. Nowhere on the album does East veer into any sort of lighter alternatives by introducing pop elements into a track or even singing a hook himself. From start to finish, “P2” represents the more grim realities of East’s life even after having “made it” in his musical career. While it is all too common for artists to begin jubilating as soon as they feel they have reached the top rung of the ladder of success, East is the type of artist who looks downward with reflection at every step, and “P2” is a keen depiction of what he sees from this self-aware perspective. In addition to his outlook on life, Dave East is not particularly young, in terms of both age and career. The 29-year-old released “Paranoia 2” as his twelfth body of work. Compared to other contemporary hip-hop heavyweights, who generally are in their early twenties and releasing their first bodies of work to their audiences, East is mature and stable. His general timbre and aesthetic as an artist is well-established. This maturity allows East to relay well-crafted stories to listeners, and it explains how he was able to properly leverage extremely talented features (Torey Lanez, T.I. and Lloyd Banks, among others) to round out this release. Combined with excellent work behind the boards as well as top-notch storytelling, Dave East proves to listeners that even with all the up-and-coming artists in the genre, there is definitely still room for old-school, quality rapping. As “P2” proves, it never goes out of style.